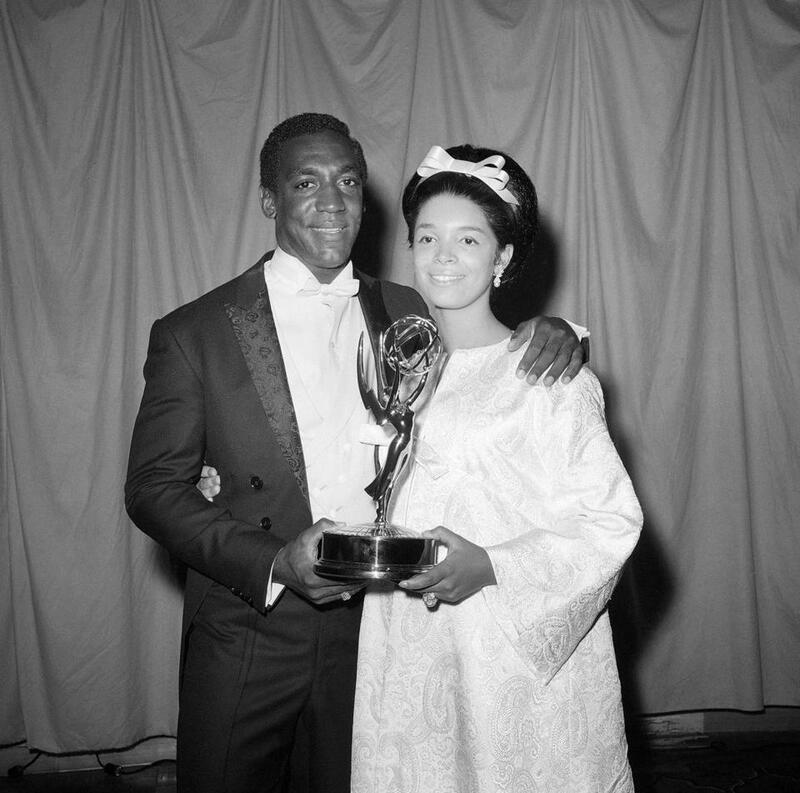 Bill and Camille Cosby in 1966 when he received an Emmy Award. It’s the husband, not the wife, who has been accused of crimes. But as the number of women alleging Bill Cosby drugged or sexually assaulted them reaches into the dozens, frustration is mounting against Camille Cosby, too. 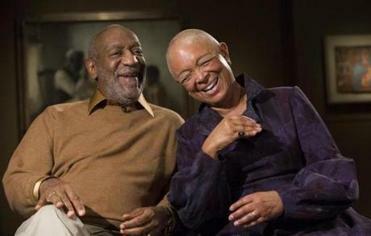 Like betrayed wives before her — Hillary Clinton most famously among them — Camille Cosby is being called upon to answer for her husband’s behavior — and her own. Women’s rights activists and others are hoping for a window into Camille Cosby’s mind-set — even if it’s only a terse “no comment” as she rushes past reporters — if she’s deposed as scheduled in Springfield on Monday, Feb. 22, by lawyers for some of Bill Cosby’s accusers. She fought the deposition, but earlier this month a federal judge ruled that she would indeed have to appear. But she may refuse to answer questions barred under Massachusetts’ spousal disqualification rule, which generally prohibits spouses from being forced to testify about private conversations with their spouse. Bill Cosby’s wife is scheduled to give testimony in a suit by seven women accusing the comedian of sexual assault. As time passes, a chorus of critics is growing impatient with her silence. Rebecca Traister , a noted writer on gender issues, sees a “a hunger from every direction” for Camille Cosby to proclaim where her loyalties lie. At this point, there may be two unknowable figures: him, and her. After decades she has spent largely — although certainly not completely — in the shadow of his global fame, many know less about Cosby’s real wife than they do about Clair Huxtable — his TV wife. She grew up in an upper middle-class family, outside of Washington, D.C, the Post wrote, with parents who were both college graduates, and who apparently believed society was so important that she was presented as a debutante in 1961. That’s an upbringing that contrasted markedly with Bill’s. He grew up in a poor section of Philadelphia; his mother was a maid and his father struggled with alcoholism. But their paths crossed when she was studying at the University of Maryland and he was in town for a gig in Georgetown, and they went on a blind date. ‘Decades later, she would confess to the pain that her husband’s “selfish” behavior caused her in their LA years, as he indulged a roving eye,’ Mark Whitaker wrote in his controversial 2014 book. At 19, at the end of her sophomore year, reportedly to her parents’ displeasure, Camille dropped out of school to marry the relatively unknown comedian. But Cosby didn’t stay unknown for long. They married in 1964, and the following year he starred in the hit TV series “I Spy.” By 1971, fame and Hollywood life had become so intense that it contributed to their decision to move back east, to the Western Massachusetts town of Shelburne Falls, according to Cosby biographer Mark Whitaker. 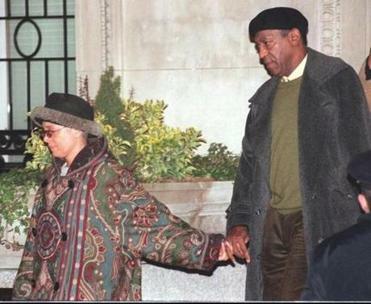 Camille and Bill Cosby leave their New York home on the day that their son, Ennis, was murdered. The Cosbys raised their five children in Shelburne Falls, and during those years Camille Cosby came into her own. Among other accomplishments, she earned a doctorate from the University of Massachusetts; co-produced a Broadway play; became her husband’s business manager; and, after the Cosbys’ only son, Ennis, was killed in a robbery attempt near a Los Angeles freeway in 1997 by a white Ukrainian immigrant, spoke out on the country’s racial tensions. 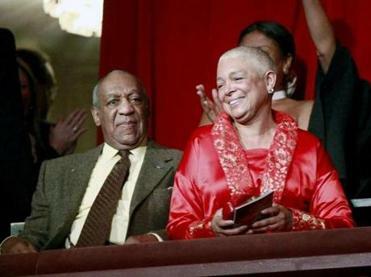 Over the years Camille Cosby has become known as someone who doesn’t seek attention, and now seems particularly eager to avoid the spotlight. Her last public statement came in December 2014 — after multiple women had come forward alleging that they’d been sexually assaulted — when she not only proclaimed, “The man I met, and fell in love with, and whom I continue to love, is the man you all knew through his work,’’ but went one step further by blaming the media for publishing allegations without “vetting” his accusers. But more recently, last Dec. 30, Camille Crosby didn’t accompany her husband to his arraignment at a courthouse in Elkins Park, Pa., on aggravated indecent assault charges stemming from a woman’s allegation that in 2004 he drugged and sexually abused her at his home in a Philly suburb. A phone call and an e-mail to Bill Cosby attorney Monique Pressley were not returned. Meanwhile, with Bill Cosby out on $1 million bail, and People magazine reporting on Jan. 5 that Camille is standing by him, the public is left to guess at what she really thinks. In that light, something Camille Cosby told Oprah Winfrey at the end of a magazine interview in 2000 feels almost painful when read today. “Is there anything internally — emotional or spiritual — that makes you fearful about being all that you can be?” Oprah asked. Oprah: “Nothing that holds you back?